I believe that you have a contact with the CLS manager and I would appreciate if you could pass on my displeasure to him, I had an appointment in Penzance this morning but I have canceled that as I do not feel safe driving there and back without any sleep not only a danger to myself but other road users especially under the present road conditions. Every five minutes throughout the night the valves were vented and did not stop until around 7am this morning no doubt when someone who knew what they were doing arrived at work. I appreciate that there is probably or at least I hope there is a fault with the valve what I do not understand why the fault was not shut down straight away and would like an explanation from them. For a few pounds I can get details of all the directors and secretaries of Sunlight from Companies House along with their addresses and contact numbers and unless I get an assurance that any future faults will be dealt with straight away and not let to go on all night I will contact each and every person listed at the same intervals as the valves going off. Whilst I am happy with all the progress that has been made with the company this sort of thing can cause a big set back. Being self employed it has cost me money by having to cancel my meeting and unless I can get an assurance from the company as to their future dealing with faults at night I will instruct my solicitor to recover my looses from the company. I am sorry to sound so bitter but that is how I feel at present. I am currently on the Isle of Wight covering for sickness of 2 senior members of staff but I have spoken with Paul Pearson at Newton Abbot who says that they are aware of the problem and are dealing with it. We are asking Zurich who handle the legal and insurance position on the boilers to raise the pressure at which the safety valves start to lift to avoid this problem in the future. I will keep you aware of progress on this aspect. 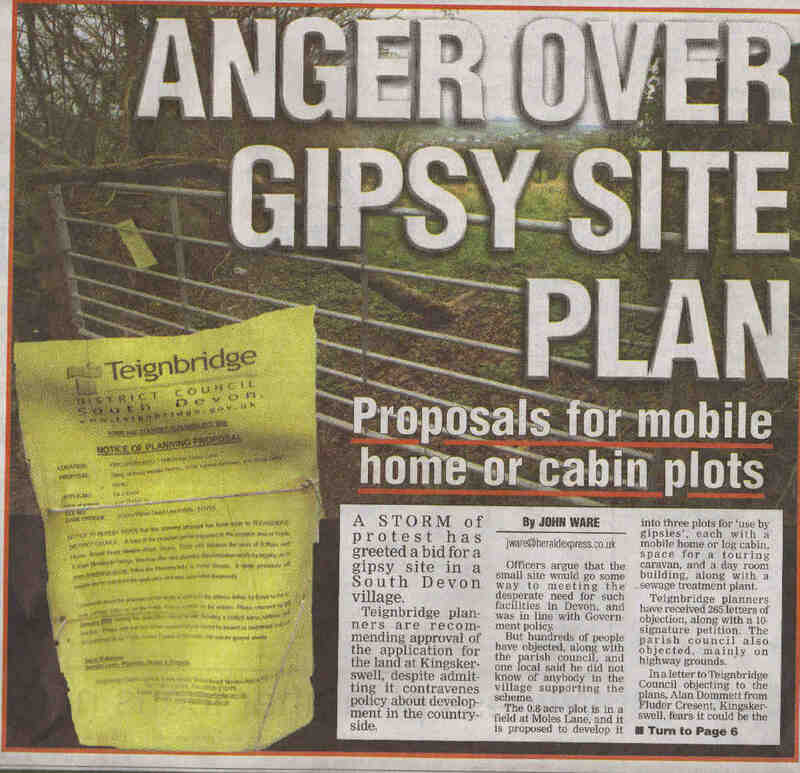 Please can you apologise to the resident as we do wish to be a responsible member of the local community. The problem was not one we could have foreseen and could have advised. Will contact you soon over progress. Thank you for alerting my colleagues at our Newton Abbot factory to the overnight noise that has occurred recently. May I first apologise for the disruption that we may have inadvertently caused. To explain in brief, we have two steam boilers on site, and one boiler is used to operate the plant with another on stand-by. For maintenance purposes, we have this week changed to using the stand by boiler as the lead boiler and have encountered an unforeseen problem. The team on site have today made some adjustments to stop any repetition with the stand-by boiler, and these adjustments will be verified by our insurers (statutory for pressure vessels) and myself early next week, and hence I expect no further overnight problems during the working week as of Monday. May I also add, that we are in the process of implementing a plan for scaling back the overnight operation which will significantly reduce the risk of “nuisance” in our immediate environment. This plan should be fully implemented over the coming month. I hope this answers your query, and again I can only apologise for this unfortunate occurrence. If I can be of any further assistance, please do not hesitate to contact me. Thank you for your email with the explanation of events over at the laundry a couple of nights ago. I will pass this on to residents immediately. For clarification can you please confirm that once the new safety lift levels of both boilers is set to the new parameters that bar an accident or test procedure that this sort of emission should not recurr. A new relationship/era is beginning with the laundry and we residents wish to maintain this as much as your management do. I can confirm that under normal operation there should be no problem with the safety valves, and as I stated yesterday, when the adjustments have been made there should be no further unplanned lifting of the safety valves, particularly overnight. I will confirm to you when I am satisfied that we have completed the necessary adjustments for a permanent solution. I appreciate what id being said but why can they not shut down once the problem arises instead of letting it go on for hours during the night as I have said before they must be insured for business interruption which will cover it. Thank you for your email, just received. I have forwarded it on to residents. It is a great shame that this has occured when things seemed to be getting so much better, and it is to be hoped that a solution will indeed be found to prevent a repetition. This has been the explanation previously, so is it an on-going matter, and if so why is it taking so long? Scaffolding was being erected today in the area of the loading bays. The first objective is cleaning of the elevations, followed by the actual painting work. It is hoped to keep a photographic diary of the work and then to produce an animated journal on completion of each phase. REMEMBER CLS AND THE PUBLIC OUTCRY? – be VERY AFRAID!!! The ‘People from the Other Planet’ a.k.a. 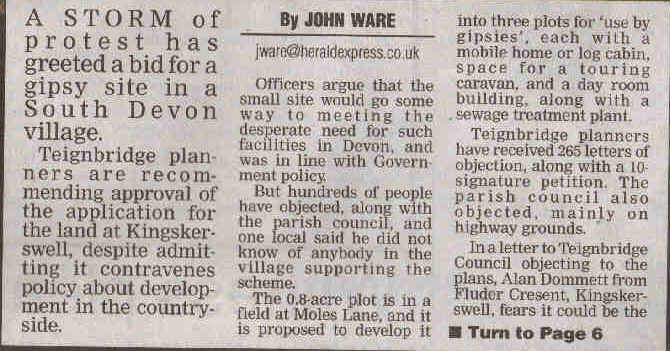 Teignbridge Planning Department are preparing to ride rough shod over Taxpaying objectors again!. These thick hides do not take on board any protests/objections and are totally impervious to any discent to their hidden agendas.